This is the one you have been waiting for almost brand new only 1 year old this home has it all. From the time you enter the front door you will be Wowed with the upgraded hardwood floors, Open concept with a kitchen that is top notch with upgraded cabinets, Tile back splash, Large center island, upgraded granite counter tops, stainless steal appliances and large pantry. From the kitchen you open right up into the dining area and living room with stunning views of the pond. The Master bedroom is on the main floor has tray ceiling, Master bath with walk-in shower, Double vanities, and expansive walk-in closet. On the 2nd floor you are welcomed with an open loft, 3 additional bedrooms, 2 Full Bathrooms and an amazing walk-in storage area. 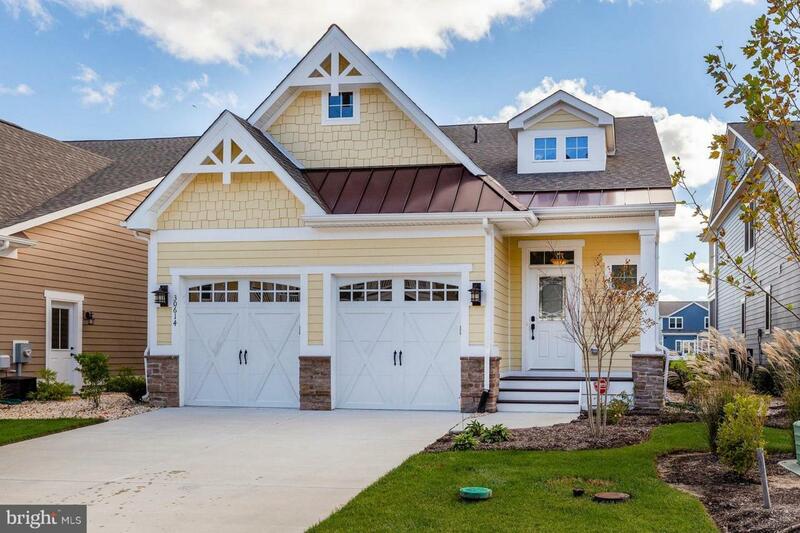 This house is a true stunner but the community speaks for its self with Community clubhouse overlooking the Little Assawoman Bay, with a private bay beach, marina, an area to Kayak and Paddle board along with storage, community fire pit, and walking trails. All this only a few miles from the Beautiful Beaches of Fenwick Island, Delaware and Ocean City, Maryland.